How much do you know about your thyroid? It is important that we understand some simple facts about thyroid nodules. Thyroid nodules are lumps that usually come up inside an otherwise normal thyroid gland. More often than not, these abnormal growths in the thyroid tissue are to be found at the edge of the thyroid gland. For this reason they are often felt as a lump in the throat. In case they are large in size, or if you are of a thin and frail stature, they would show up as an evident lump. True facts concerned with thyroid nodules. 1 of every 12 to 15 young women has a thyroid nodule and so do 1 in 40 young men. Over 95 percent of all thyroid nodules are benign, and in some cases, the cysts are full with fluid rather than thyroid tissue. For those who have thyroid nodules, it is likely to have developed by the time you are 50. Most importantly, the incidence of thyroid nodules increases when you are older. It’s important that you don’t press the panic button if you suspect thyroid nodules. It’s important that you first get checked. 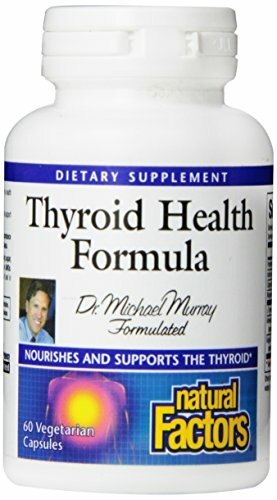 In most cases, thyroid nodules non cancerous, do not cause trouble by pressing on other areas of the neck and do not produce excess thyroid hormone. Most commonly, one deals with a small to medium sized nodule that is an uncomplicated overgrowth of normal thyroid tissue. In case of an enlarged thyroid i.e., the goiter, the initial reaction is that it is a thyroid nodule. A fine needle aspiration biopsy (FNA) helps determine whether a nodule is cancerous or benign. Sometimes an Ultrasound examination is essential in order to establish the character of a thyroid nodule. Thyroid nodules symptoms may be fairly difficult to establish, because most of them do not cause any pronounced symptoms. Most commonly one discovers their existence when people feel a lump on their throats or accidentally see its reflection in the mirror. At times someone around you may notice the lump. Of course a check up at the physicians will also be able to expose a lump. In certain cases these nodules may be painful. In rare cases, these nodules may cause complexity when swallowing because it may be enlarged and placed in a manner such that it obstructs passage of food in the esophagus, which is strategically located just behind the trachea and thyroid. There are times when thyroid nodules are diagnosed when testing for other conditions either because of a scan of the neck.